Hiring pros and candidates alike have dug in their heels when it comes to virtual interviews. I’ve seen various online posts claiming these type of interviews are taking the critical aspect of personal relationships out of recruiting, making candidates feel companies only want to fill an opening quickly. While some remain skeptical, many other hiring pros are up for trying out virtual interviews. In fact, respondents in LinkedIn’s Global Recruiting Trends 2018 report say they’re willing to give new interview tools a shot, including virtual interviews. Stepping out of your comfort zone is always challenging. But giving virtual interviews an honest chance will help you rise above where traditional interviews fall short. To reap the rewards, though, you must first kick those harmful stereotypes to the curb. 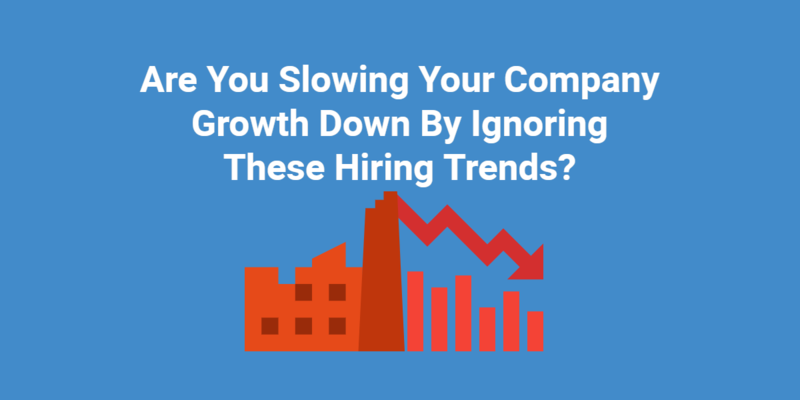 If you’re not careful, they’ll seep into your talent pool, causing you to lose qualified candidates before they’re fully committed to your company. Company culture is no longer limited to in-office perks, such as smoothie bars, office pets, and fun lounging areas. Candidates want to be a part of something much bigger than surface-level benefits. They want to hear what makes your team run, see the projects they’re passionate about, and feel a desire to be part of your team. Moreover, if you think candidates are walking into an interview with no sense of your culture already — you’re wrong. A whopping 65 percent of candidates are digging into your company website to prepare for interviews, according to LinkedIn’s Inside the Mind of Today’s Candidate report. So they’ve got the basic overview down. During virtual interviews, offer candidates a feel for culture by bringing in their potential co-workers. Ask one or two of candidates’ future team members to join you for an interview, share what their day-to-day looks like, and even offer their favorite hobby outside of the office. Let candidates get a feel for your #companyculture during #videointerviews. Along with cultural fit, this is a significant part of the interview process. Job seekers in LinkedIn’s candidate report say understanding why they fit within your organization is something they want to know immediately. Virtual interviews, even one-way video interviews, are the perfect time to let candidates know where they’ll fit in the big picture. It’s all about asking the right questions and being prepared to share specific details about their short- and long-term goals. To determine adaptability: Please share an example of a time you made a mistake, how you corrected it, and how you moved on. To determine teamwork: Describe the relationship with your former/current team. What was your favorite part about working with them? Determine work ethic: Describe a situation where you had to go above and beyond the duties on your job description. Also, during virtual interviews, you can let candidates know how they fit on within the company by sharing what you value in them as a potential employee. This shows them you’re looking for someone with their skills, personality, and experiences — whether you’ve shaken their hand in person or not. The candidate experience, especially in today’s job market, will make or break the quality of talent in your pipeline. Using virtual interviews and believing this stereotype will harm your candidate experience and quickly deplete your talent pool. To give candidates a positive interview experience, you must have confidence in your process. Virtual interviews take time constraints and the pressures of coming to you off of candidates’ shoulders — that’s a positive experience from the start. Even better, thanks to a heightened collaboration with your team, you’ll decrease time to hire which allows candidates to move on faster. During interviews, make candidates feel comfortable by sharing a bit about yourself, your company, and the open role. Then get down to it by digging right into questions. Negative #interview experiences revolve around your attitude — not just candidates’. What virtual interview stereotypes have you had or heard before? We want to know about them!